3517 points will be rewarded to you when you buy this item. A story of pure elegance, This gorgeous Diamond Tennis bracelet for her sparkles with a total weight of 4.02 CT of brilliant round diamonds. this bracelet embodies classic beauty. 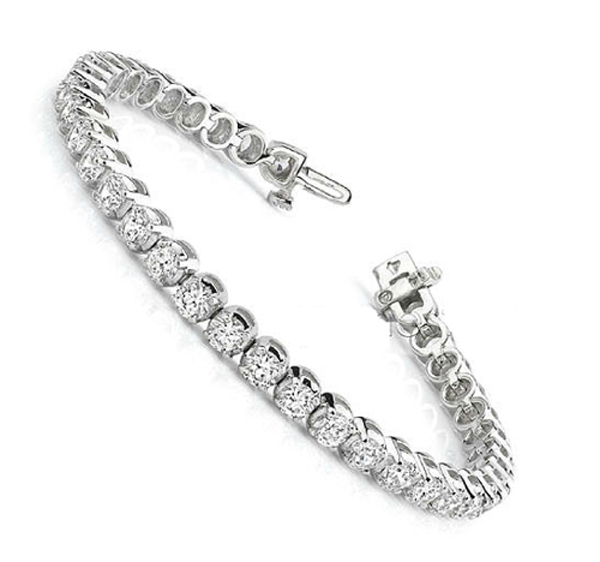 The 7 - 7.50 inch diamond tennis bracelet is secured with a tongue clasp. 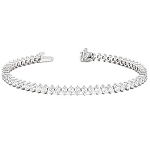 This classic and elegant diamond tennis bracelet has a dramatic shimmery appearance with a flexible, yet substantial feel.